These days, a little over two years later, the threat of a calamitous exit seems to have receded. The Greek economy is projected to grow this year for the first time since 2007 and Greece fancies its chances as borrower in good standing in the international bond markets. It would take a wild-eyed opponent of the current government not to concede that this is cause for a relief. Equally, however, it would require an optimism that would make Dr. Pangloss blush to argue that Greece is about to take off, that the disastrous habits and structures of old have been done away with and that an era of sustainable prosperity is about to begin. In the five years since the eruption of Greece’s Great Crisis, a plethora of causes have been cited as being central to its malaise. Conservatives saw in the country a textbook case of the follies of excessive public spending. Leftists focused instead on the follies of Greek and foreign bankers and on the depredations of externally imposed austerity. Other prominent targets of blame were the Germans, uncontrolled immigration, public sector corruption and the productive decline of the private sector. 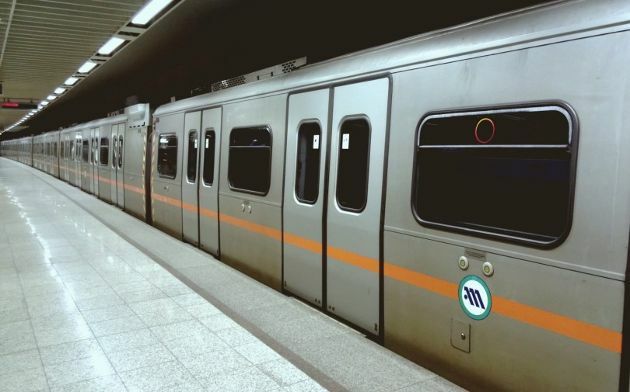 Some analyses went a little deeper and saw clientelism as the core pathology, an acid corroding everything in Greek life, leaving the country in the hands of well-connected mediocrities and spreading mutual mistrust across the body politic. But even that does not go deep enough. Greece’s biggest problem, which it has done little to deal with, is its lack of openness as a society. It is a stance with deep roots and wideranging implications, which decisively undermines its hopes of recovery. The Great Crisis allowed this lack of openness to assume its most depraved, repulsive form: that of racist xenophobia. Driven by anger and desperation, but also ignorance and prejudice, droves of Greeks turned to nostalgists of the Nazis and apologists of the military junta. In better times, racism was a politically marginal force. But it was always there, in the tirades about Europeans living in trees while we Greeks were founding civilization, in the exploitation of Albanian immigrants in the 1990s, in the widespread belief in geopolitical conspiracies orchestrated by the Jews. The lack of openness took many other forms, less virulent than racism but, in their cumulative effect, utterly debilitating to the country. Greece was a closed economy with closed professions. It feared globalization and technological change, it drove away foreign investors, it favoured insiders with the right party connections over outsiders with greater talents. It shunned liberal social reform on everything from drugs to freedom of artistic expression to gay civil rights. It allowed the high representatives of its state-sanctioned religion – what an anachronism, that, for a member-state of the European Union – to set public standards and oftentimes public policy on any number of issues, almost always at the expense of those who were different. This narrowing of the mind – which, curiously, does not seem to afflict those Greeks who make a life for themselves abroad – was something I repeatedly came across in the research I did for the book. It was there in the inability to move from the outdated method of landfilling to more enviromentally friendly and economically beneficial approaches to waste management; in the resistance to the digitization of tax administration among the old guard at the Ministry of Finance; in the long, twilight struggle of the political system to prevent a meaningful liberalization of the electricity market; in the angry chants of far left university students and Golden Dawn thugs. Modern Greeks, in part because of their glorious ancient heritage, have tended to an insecure an often resentful attitude towards the world. Anxious to protect their traditions, they have sought to keep change at bay and have always looked to foreigners as the authors of their misfortunes. A people under such a poisonous spell are readily seduced by those among them who have an overriding interest in keeping the country closed off from the world – introverted, playing by its own rules, an easy prey for their rent-seeking ways. *Yannis Palaiologos is a features reporter for Kathimerini newspaper in Athens, Greece. 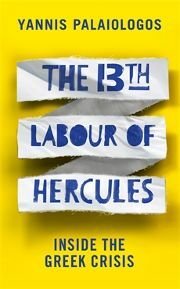 He has just published his first book "The 13th Labour of Hercules" (Portobello). On Wednesday, October 15, at 6.30 p.m. he will present and discuss his new book at the London School of Economics, Wolfson Theatre, New Academy Building, 54 Lincoln's Inn Fields, London, WC2A 3LJ. The presentation will be followed by a Q&A session with comments by Professor Featherstone and Philippe Legrain, author of the book European Spring: Why Our Economies and Politics are in a Mess - and How to Put Them Right. Greece's biggest problem? It does not have a government any more. It's governed by the Brussels' based EUSSR.